Andy Cohen is the Chief Assumption Officer of Andy Cohen Worldwide, a global advisory firm helping multinational companies think differently and make better decisions. They’ve help American Express, Bloomberg, FOX, HSBC, L’Oreal, , Nestle, Novartis, Pfizer and other global brands change the way they lead, market and innovative….one assumption at a time. 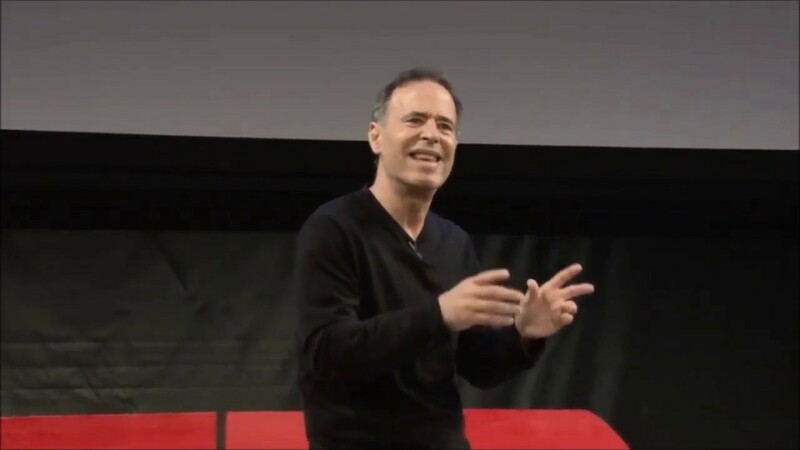 Andy is a popular and recognized TEDx speaker, author and international thought-leader. In his former life, Andy founded Exposed Brick, an award winning agency that blended brand with direct marketing. Clients include American Express, Clorox, Club Med, Invesco and Time Warner. He is a recipient of a Gold EFFIE, an award given to creative ideas that drive record-breaking sales. Between engagements, Andy teaches at some of the world’s most respected universities including New York University, Cornell University, Duke Fuqua School of Business, Duke Corporate Education, Stern School of Business, the Indian School of Business, the Qatar Leadership Center and the Cheung Kong Graduate School of Business. Follow the Other Hand, Andy’s first book, was nominated by The New York Times and it has been translated into multiple languages. He is working on his new book entitled, “The Assumpt!”. “It can’t be done”. “The client will never buy it”. “This is not the way we do it around here”. “It’ll never work.” These are samples of the hundreds of the assumptions that act as barriers to change and growth. Yet these same assumptions can be turned around to create new opportunities, drive better solutions and smarter decisions. The process for doing this is called “The Assumpt! When you move from the physical to the digital world, the rules change. Unfortunately, it’s human nature to assume that they stay the same. This directly affects an organization’s ability to make faster, better decisions in cyber security. This dynamic keynote explores how within every cyber decision lies an assumption. Based on Andy Cohen’s new book, Challenge Your Assumptions, Change Your World, he provides the mechanisms for learning how to identify potentially dangerous assumptions that act as barriers to security and turn those same assumptions into opportunities to adapt, innovate and defend. This talk provides the tools that allows CEOs, CIOs, Senior Engineers and Team Leaders to move out of their comfort zones, break through the status quo, and align their thinking to uncover key solutions in this new cyber frontier.